If you always have that sinking feeling as you unpack creased clothes in your hotel room on holiday, you’ll know how annoying it can be to spend hours packing your clothes when you move house, and then find that you’ve got to spend time you don’t really have ironing and perhaps even washing everything again before you can wear it. Quite often, it’s tempting to leave clothes until the last minute, and just fling everything in a few suitcases or boxes, and hope for the best. When searching on removals Swindon you’ll notice that we offer you speciality Wardrobe Boxes as standard, and at no extra cost to you. They don’t cost you a penny extra! 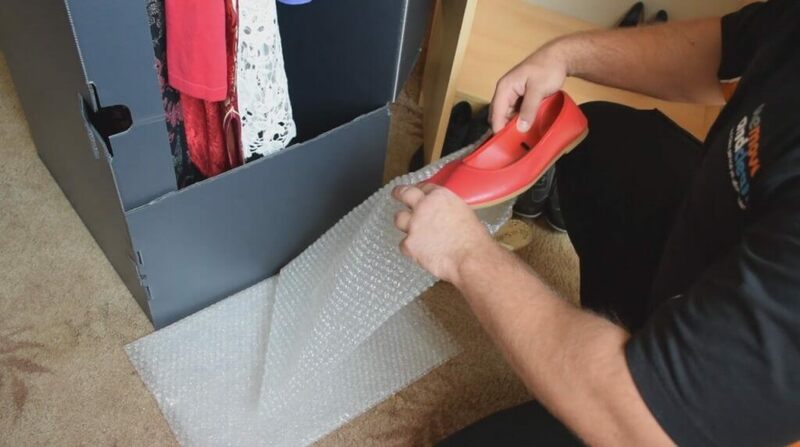 This can really uncomplicate your move, as it takes just a few minutes to move your clothes effectively from one wardrobe to another! No more messing around with suit bags or dress covers. They save you hours of packing. Just transfer your clothes from your wardrobe straight into your wardrobe box. The metal hanging rail means that even heavier items are adequately protected. Our boxes arrive ready-assembled, so there’s no awkward folding and fixing. They also have three secure closures, so you don’t have to worry about extra packing tape. 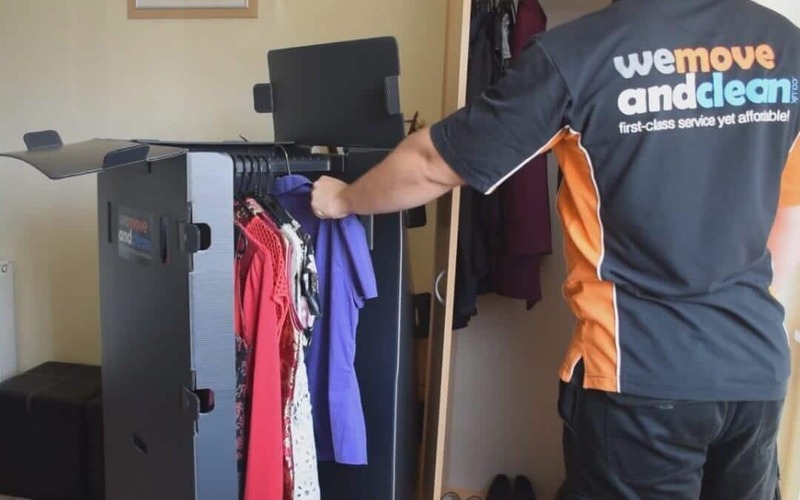 They’re around the same size as a single wardrobe compartment, so they’re deal for shirts, trousers, dresses, and longer garments like coats, which can be particularly bulky to pack. This represents a huge time-saving for you, especially if there are other tasks you’d rather get onto in your new home before normal life demands you get back to it! If you own a lot of suits or formal workwear, a sturdy moving box is even more important. You’ve spent a lot of money on those clothes, so they need to be protected from dirt or possible damage during the moving process. You’d protect a fine antique with special packaging when you move house, so why not your best suit? Additionally, wardrobe boxes can be very useful for transporting other tall items that need protecting (so not just your clothes! ), so why not order an extra one for umbrellas, canes, and even floor lamps? In summary, a wardrobe box can be the most time-saving packaging item for your house move; not only does it cut down on painstaking folding and packing where items may still crease anyway, it represents amazing value for money as an integral part of our service to you. Your clothes are protected from damage as well as dirt, and are ready to wear for you at once in your new home – they also provide a temporary wardrobe if it’s a day or so before you can assemble a new one! Still searching for removals Swindon? For a professional and affordable house removal company contact us today! You can also use the buttons below to get an estimate or go back to our homepage to read more about us.